Lama Lungrik Gyatso came to the Nalanda Institute as resident Buddhist monk in 2008. He has been a monk for more than 35 years. At his home Sakya Monastery in Mundgod, Karnataka State, India, Lama Lungrik trained in Tibetan Buddhist monastic ritual, ceremony and meditation, and received full monk's ordination. He completed his formal education in Buddhist philosophical studies and meditation at the Sakya College, an institute of higher Buddhist studies in Utteranchal State, India. 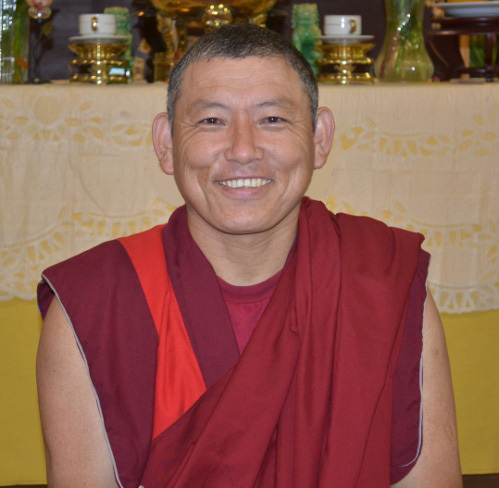 As our resident monk, Lama Lungrik leads and instructs our regular meditation and chanting practices, conducts ritual ceremonies, and provides individual spiritual guidance, available to both Nalanda members and the community at large. He is also an important support for the local Tibetan community. He is available to perform Buddhist ceremonies for important life events and celebrations (inquiries to info@nalandaolywa.org). 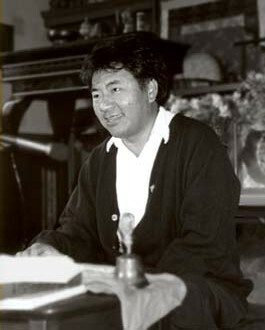 Geshe Jamyang Tsultrim, founder of The Nalanda Institute,Olympia, holds an advanced traditional degree in Buddhist studies and meditation awarded after ten consecutive years of study at Sakya Monastic College in India. Lama Jamyang was a Buddhist monk for twenty years and has studied with many senior Tibetan teachers in India and Nepal. He also taught at the Sakya Institute for two years in India. After coming to the USA, Jamyang obtained a Master's degree in Western psychology. He has been working as a mental health therapist and giving philosophical based Buddhist teachings for the last 15 years in the Olympia area. He is also a visiting instructor on Buddhist logic and epistemology at the International Buddhist Academy in Kathmandu, Nepal. He is currently engaged with a major translation project on the classic Buddhist Logic and Valid Cognition.